A student stands outside a lecture room at Gulu University. There is uncertainity about the sitting of end of Semester One exams since lecturers say they will only administer the exams after their money has been paid. Gulu University lecturers on Thursday returned to work after government promised to pay their extra load arrears amounting to Shs700 million. The university was closed in December after the lecturers refused to administer end of semester one examinations to students over non-payment of their accumulated extra load allowances. However, on Wednesday, the Vice Chancellor, Prof George Openjuru Ladaah, told the academic staff under their umbrella body, Gulu University Academic Staffs Association (GUASA) that government had advanced over Shs2 billion to the university, of which Shs800m will be earmarked for their allowances. Prof Openjuru promised to start paying the allowances for weekend lecturers starting February 12. In response, the lecturers promised to resume work but warned that they would lay down their stools again if the promise was breached. “Their promises have wooed us to resume work but if this is not honored, we still have time to change our minds,” said Mr Karlo Ojok, the GUASA General Secretary. While Prof Openjuru said end of Semester One examinations will commence on February 14, Mr Ojok said they will only administer examinations after seeing the money on their bank accounts. 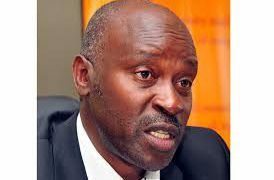 The GUASA general secretary also revealed they have many unpaid allowances such as marking allowances amounting to Shs50 million, Gratuity amounting to Shs1.9 million, Shs250 million honorary allowances and Shs700 million salary enhancements for financial year 2016/2017. The university has been plagued by staff and students strikes since it was founded in 2002.